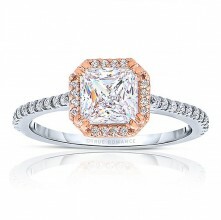 An elegant design this diamond engagement ring showcases a Bi-Pass Design that Highlights the center stone. 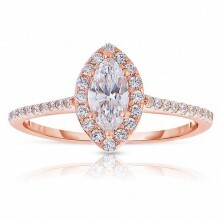 This style accommodates various center stone sizes & shapes. 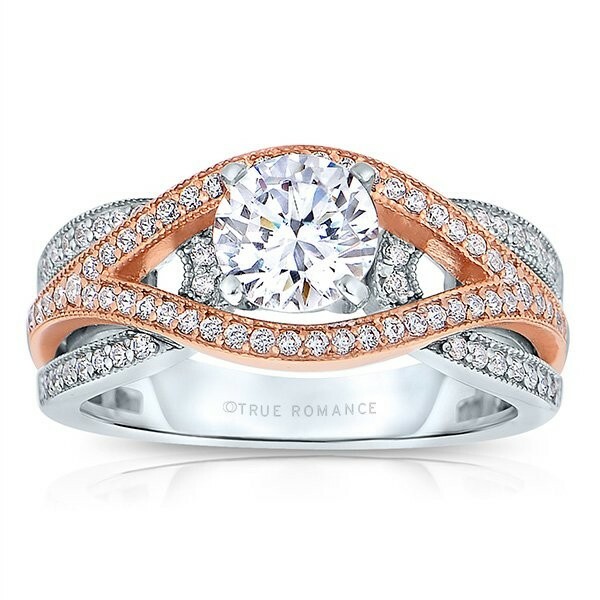 Available in Platinum as well as 18K and 14K White Yellow or Rose Gold. 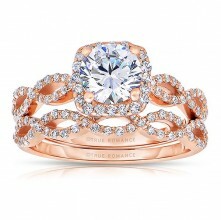 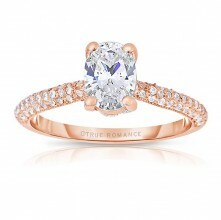 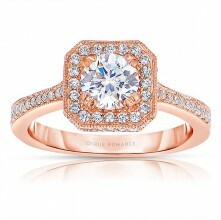 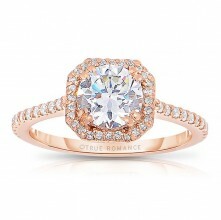 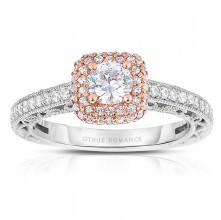 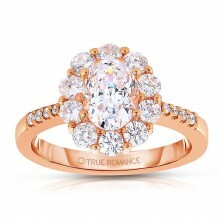 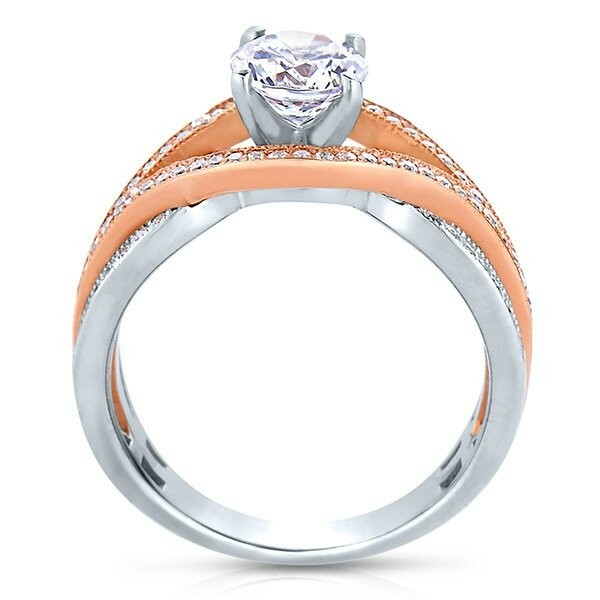 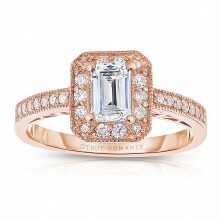 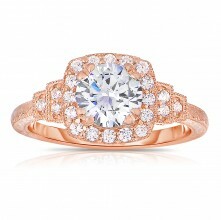 Priced as shown 0.42cts 14K Rose/White Gold.